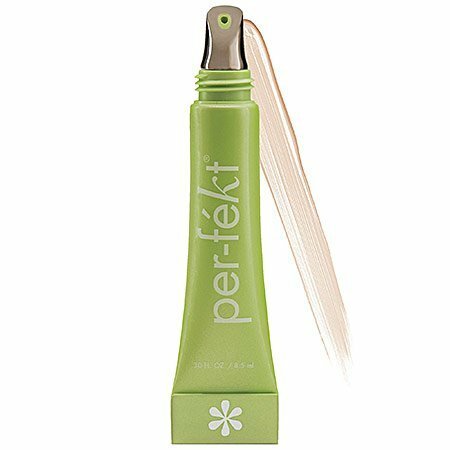 Per-fekt Beauty Eye Perfection Gel rejuvenates the skin around the eyes for a smoother and brighter appearance. Cucumber extract, antioxidants and peptides diminish puffy eyes, crow’s feet and under-eye circles. The cooling palladium tip gently glides along the skin for an even application without tugging. It may also be used as an eye primer for a long-lasting eyeshadow application. Premeasure a drop of eye perfection gel by squeezing out onto the cooling palladium tip applicator before applying around the delicate eye area. With cooling palladium tip applicator, gently pat and smooth from the outside corner of the eye inward. Gently smooth with fingertips. Use sparingly as eye perfection gel is not diluted with water. Layer for desired perfection or coverage. Do not use eye cream before application as the skin may not absorb eye perfection gel properly. A slight cooling sensation is normal.